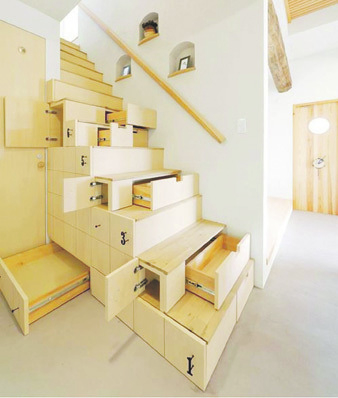 Planning a house renovation well is a must these days, especially if the living space is small. HardieFlex recently teamed up with Josham Builders and Wilcon Depot to renovate a home in Quezon City and proved that small space renovation is no big problem, given the right furnishings. Use building materials that serve more than one purpose. “Choosing your building materials doesn’t ever have to be an either/or situation,” advised Roland Badilla from James Hardie’s technical team. “Always go for the one that’s not only easy to install but also durable being resistant to damage from fire, moisture, and termites. That way you’ll be prepping yourself up to do less repairs/renovations each time,” he said. You don’t have to demolish everything. When it comes to rebuilding certain areas of the house, Badilla stressed the importance of assessing the space on hand, and prioritizing which areas need to be redone, and which can go on with a simple retouch. “A lot of times when renovating, homeowners make the mistake of tearing everything down—even the walls or other areas that are still good,” said Badilla. Consider lightweight wall partitions instead of traditional concrete. If part of the renovation plan includes building a new room, wall partitions made of lighter but resistant materials could be a better alternative to traditional concrete divisions. Follow an overall mood with paint and wall accents. Smaller spaces are better off with cool, light-colored walls; it opens up the area making the space look bigger. When it comes to furniture, choose timeless pieces of good quality. Filipinos prefer furniture that are comfortable, but can stand the test of time, thus one can’t go wrong by investing in quality home products that complement the look and feel of the landscape. 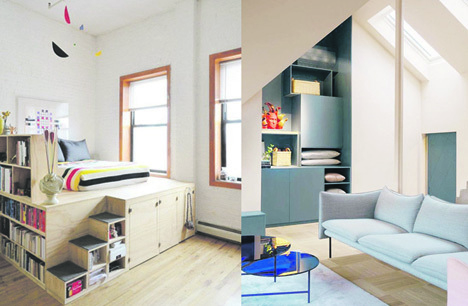 When it comes to small spaces, do not to be scared of blank areas around the house. Don’t keep adding pieces of furniture or knick-knacks around the home to fill every nook. This makes an already small area feel even smaller. Space is good, so choose compact pieces that are easy on the eyes, don’t take a lot of space, and can serve a dual purpose. For the HardieFlex’s home renovation project, the team did not bring in a huge couch that could eat up the living space. They brought in a quaint cream-colored couch plus a functional ottoman in the living room instead of the usual coffee table to provide more seating, while serving as additional storage. Choose furniture with colors that can serve as room accents. Though sometimes taking color cues from the house’s palette is a safe bet in choosing furniture, homeowners shouldn’t be scared of using colors that deviate from their interior’s color story. Rooms can be punctuated with statement pieces that add to the vibe of the area. The HardieFlex renovation process with Wilcon Depot can be viewed on the James Hardie Philippines page at @JamesHardiePH.